Scan your surroundings with the Leica BLK360 3D Scanner! Financing available on Canon Large-Format Printers! Get financing on a new Canon large-format printer. There are sporadic promotions from Canon and leasing companies. Talk to your local Napco Sales Rep or call Kolleen Ryan for further details at 201-438-1500. 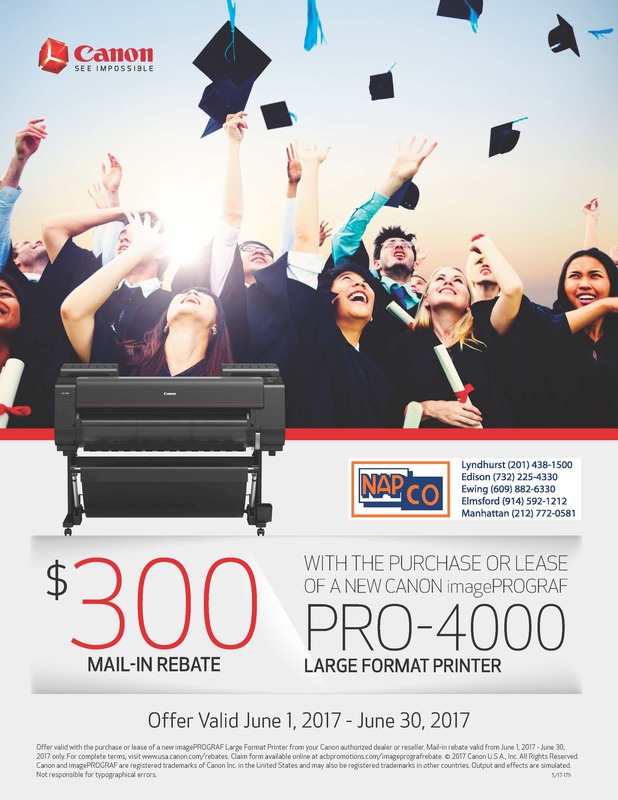 Buy or Lease a NEW CANON imagePROGRAF PRO-4000 Large Format Printer and get $300 back. Mail-in rebate valid from June 1, 2017 – June 30, 2017. Call Kolleen at 201-438-1500. Canon Rebate PRO-4000.pdf Terms and conditions may apply.